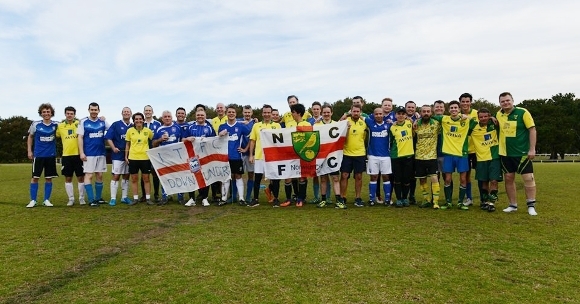 The buzz of East Anglian derby weekend was felt in Sydney on Saturday, as Australian-based fans from Ipswich and Norwich met up for the fourth Derby Down Under. Ed Parker, the chairman of the Australasian Branch of the Supporters Club, reports. However, it was a much improved Norwich side that we faced on Saturday, in particular they had added a decent keeper and some young legs in midfield. There were early chances at both ends, with Leo Chandiok forcing the Norwich keeper into a save from long range and Town keeper Ehsan Khoshima pulling off a super stop from point blank. It was Norwich however that broke the deadlock after 20 minutes when a surging run cut through the Town defence, and the forward slotted home. Town hit back with some sustained pressure resulting in a couple of well-taken corners and from one of them a Roger Harmes header forced the Canaries keeper to make a great save to deny us a certain goal. Norwich were strong on the break and from another quick attack, a ball into the box was handled resulting in a penalty for the Yellows. The Norwich captain made no mistake from the spot. Town continued to press and the Canaries keeper was kept busy making some more important saves. 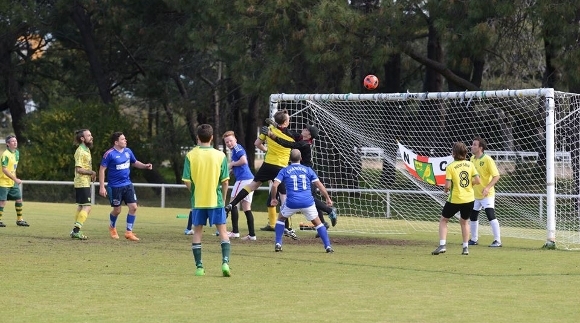 Eventually our efforts were rewarded with a goal from close range by Glenn Ranger. As Town continued to look for the equaliser, we were hit again on the break and the half-time 3-1 scoreline was perhaps not reflective of the chances created during the half. Town got on top in the second half and neutralised the threat from the City forwards, allowing us to push up. Once again Town pressure was rewarded with a goal from Ben Gobbitt and as the half progressed it looked more likely that the Blues would grab the equaliser, however it was not to be and Norwich held on for a 3-2 win. 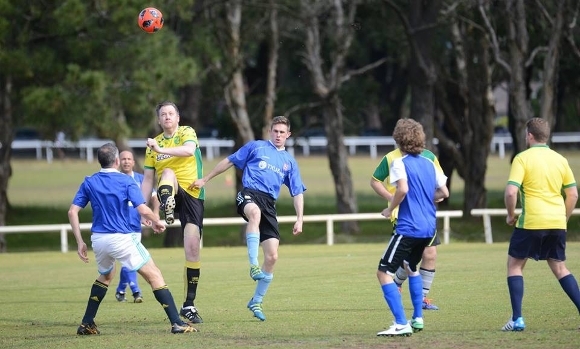 It was a competitive game and the teams were evenly matched. Town will look at a number of unconverted chances, whilst City will be relieved that they've found a decent keeper. 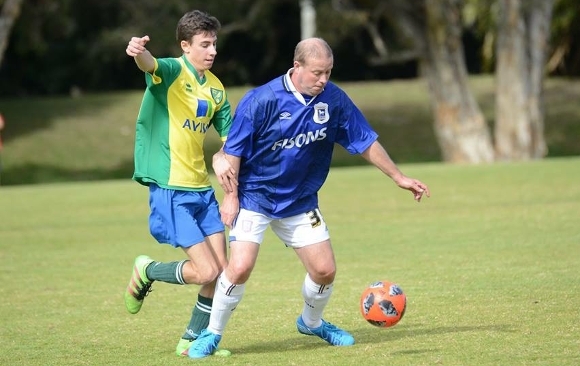 Well done to everyone that took part, it was great to catch up with old friends as well as meet some Town fans making their Derby Down Under debuts. Hopefully next year we'll take the game to Brisbane where we'll be looking to take back the Derby Down Under trophy. If you’re interested in joining the Australasian Branch of the Supporters Club, contact Ed by email via edontheroadagain@hotmail.com. Lets hope you don't have to wait as long as the mighty ITFC for your next win! Are the players mostly ex-pats or local Town supporting Aussies?